William “Bill” Early, recently named Executive Director of Brunswick BID. William S. “Bill” Early, an experienced economic development leader with 29 years of experience in North Carolina, has been tapped as the executive director of Brunswick Business & Industry Development (BBID). Earlier this year, Brunswick County Commissioners voted to contract with BBID to handle the county’s industry recruitment efforts following the announcement by Mike Hargett, the county’s director of economic development and planning, that he would retire at the end of 2017. Bill Early is a proven leader with 29 years of economic development experience in Hertford County, North Carolina. He earned a Bachelor of Arts in Business Management from N.C. State University in 1982. Early joined the Hertford County Economic Development Commission in December 1988 and served as executive director until December 2017. During his tenure he led 64 business recruitment or expansion projects resulting in $1,164,653,305 in investment and 1,993 jobs. 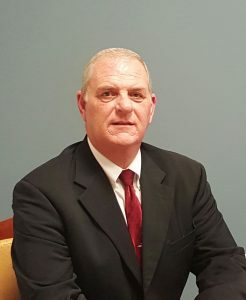 He also served as the county’s zoning and planning administrator from November 1996 until December 2017. Early received the N.C. Economic Developers Association’s Jack Ervin/Area Development Magazine Scholarship in 1991 and was recognized as the association’s “Practitioner of the Year” in 1999. In 2001 he was named the “Economic Development Leader of the Year” by the Eastern Center for Regional Development. The Brunswick County Economic Development Foundation, Inc., dba Brunswick Business & Industry Development (BBID), is a 501(c)3 non-profit organization dedicated to promoting economic development in Brunswick County, North Carolina. The foundation is governed by a fifteen-member board of directors.